The Bowflex TreadClimber is a fitness machine that attempts to move away from traditional treadmills and features a complex design – a combination of treadmill, elliptical trainer, and stair stepper. Unlike traditional treadmills that provide extensive cardio exercise, the treadclimber offer low-impact workouts. Is The Brand For You? If you prefer a high-impact workout, go with a traditional exercise machine. On the other hand, if you want the challenge of an intricate unit that offer a low-impact exercise regimen, go for any Bowflex TreadClimber – after all it’s supposed to be 3 machines in one! Bowflex aims to build a brand name that everyone would associate with “easy and fast results” for workout in the comfort of your own home. It started in 1986 when it came out as manufacturers of gym equipment designed to provide multiple exercises in a short amount of time. Aside from their popular treadclimber machines, Bowflex creates gym equipment that helps develop the strength and cardiovascular health of its users, including treadmills, elliptical trainers, dumbbells, benches, and free-weight cages. They are probably living by the philosophy that “a beautiful design is a priority over quality,” since Bowflex received negative feedback from users and critics alike for some of their machines. Giving more importance to the aesthetics of their fitness units, the Bowflex Treadmill has been found to be made of plastic parts, while the Bowflex TreadClimber has weak hydraulic shocks. Bowflex is a daughter company of a larger fitness company called Nautilus, Inc. Nautilus offers tools and education to its customers and clients on how to achieve a healthy and fit lifestyle. With a brand portfolio that includes names like Nautilus®, Bowflex®, Universal®, and Schwinn® Fitness, Nautilus presents a wide variety of innovative health products and fitness machines that are being sold directly or through retail. Its brand popularity reaches international market. With the negative feedback being received by the Bowflex treadmill and treadclimber, Edward Bramson, CEO of Nautilus, aims to put together the act of the Nautilus company, including cutting down costs, removing unprofitable machines, and giving more focus to its strongest products to make it a reliable and trustworthy company again. 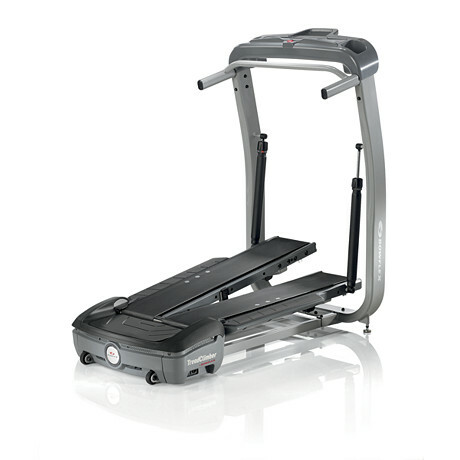 With the high cost of the treadclimber units, it is more likely that you are paying for the name and not the features. Bowflex prioritizes the appearance and aesthetics of their machines even if it means sacrificing the performance and quality. True, it offers modern features and technology, like the G.O. Coaching on the TC5500 model, but these technologically advanced capabilities are not sufficient to make the treadclimbers a complete, all-in-one package. If you have decided to buy a Bowflex Treadclimber then I suggest you buy from here. But before you buy, you may want to read our reviews on individual Bowflex products below to help you find the one that suits you best. Others: The cheapest of all treadclimbers. If you are intrigue by the treadclimber and want to try one, this is your safest choice. Others: A little bit overpriced considering there are just a few improvements from the TC1000 above. Others: A feature rich treadclimber that is also a bit overpriced. 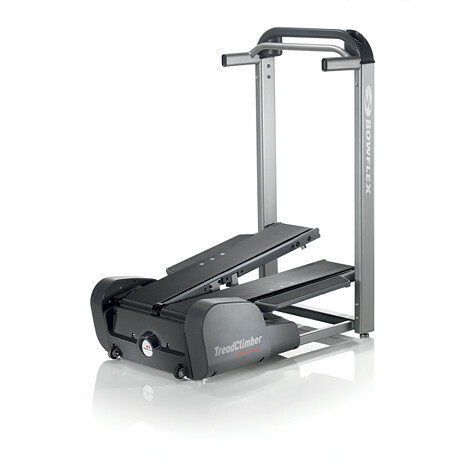 Have You Use a Bowflex TreadClimber? If you're using or have used a Bowflex TreadClimber, chances are visitors of this site would love to hear from you. It's fun, free and easy to do.